The Management Associate Program is a customized training and development program which offers Management Associates ("MAs") the opportunity to receive theoretical classroom training combined with practical work experience. 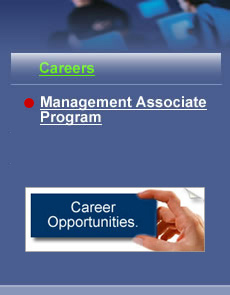 It provides MAs with on-the-job development across all business divisions of the Group under the guidance of a mentor. Throughout the training period, MAs will have the opportunity to learn from and work with senior professionals and benefit from their experience, knowledge and skills. MAs will normally be stretched and challenged with a variety of job assignments to enrich their training and development experience. By the end of the program, each MA will be expected to have obtained a sound grasp of the knowledge and skills needed to launch a successful career with the ECM Libra Group. Given the high standards demanded by our clients and the Group, we seek candidates that demonstrate good leadership potential, strong analytical abilities, commercial acumen and excellent communication abilities. The ability to work as part of a team in a fast-paced and challenging environment is a pre-requisite. A degree in Accounting, Finance, Economics, Business Studies, Law, Actuarial Science, Engineering or Mathematics from a ranked university is preferred. Applicants who are not contacted within one month should consider their applications filed for future reference.